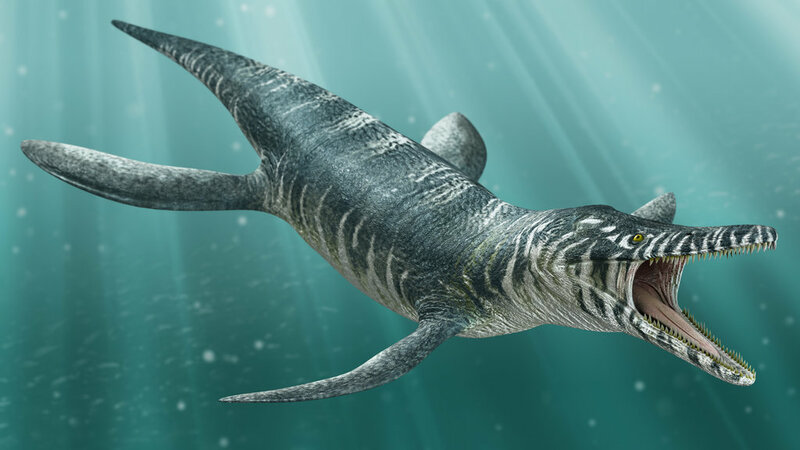 Kronosaurus is a pliosaur which lived approximately 125 million years ago during the Early Cretaceous Period. 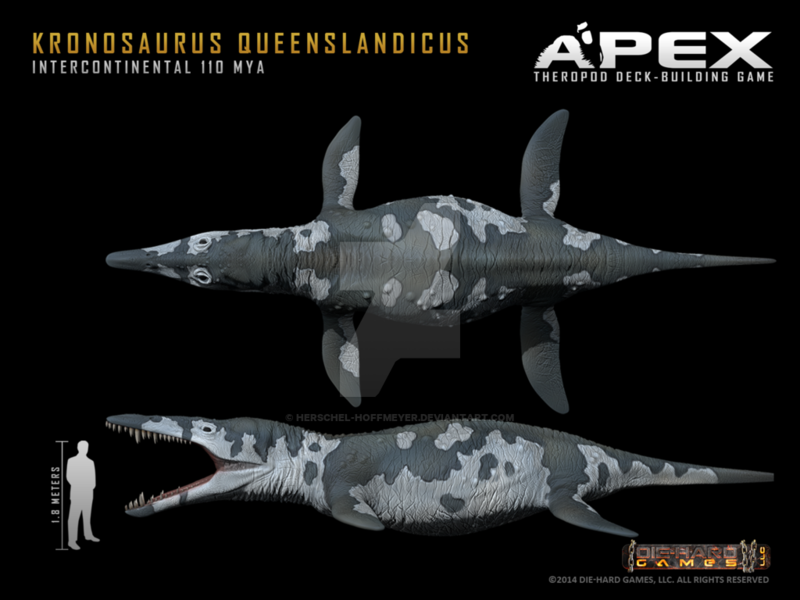 It was first discovered in 1899 by Andrew Crombie in the northeastern portion of Australia. This fossil fragment was promptly forwarded to Queensland Museum. However, it would be 25 years before someone would thoroughly examine and describe this fossil. This happened in 1924 when Heber Longman described this fossil as the prototype of a new species. 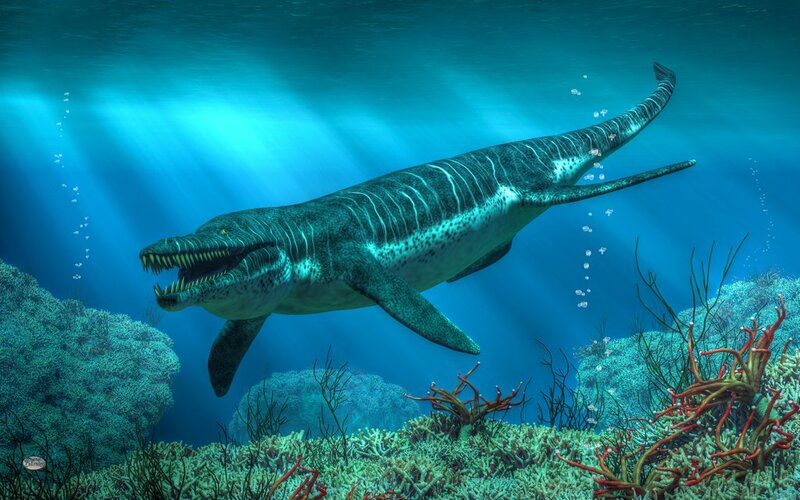 Over the years, more fossils of Kronosaurus has surfaced and given paleontologist a better idea of what this animal looked like and how it lived. 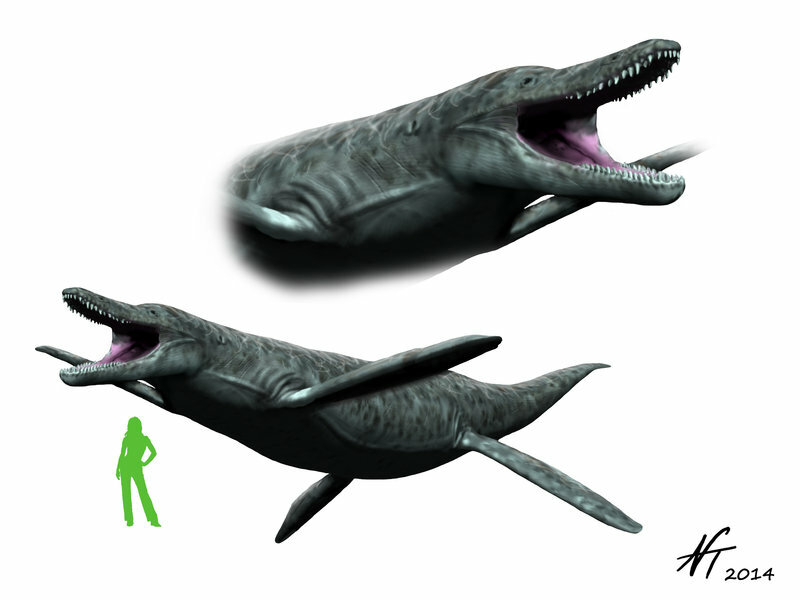 One of the most interesting facts about Kronosaurus is that it was named after the titan Cronos from Greek Mythology. Why was it given this name? 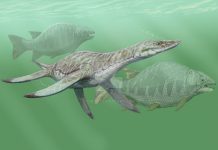 That’s because, in the myth, Cronos (also known as Kronos) – who just so happened to be Zeus’ father – tried to eat his own children, much in the same way that Kronosaurus would eat many of the smaller pliosaurs it came across. However, that wasn’t the only thing these animals ate. No, they were also apparently fond of eating mollusks and prehistoric squids. 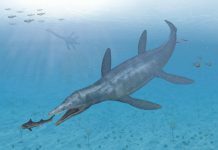 As you can probably tell from Kronosaurus pictures, these animals were pretty scary looking. 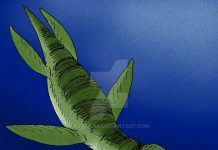 They were approximately 33 feet long and weighed around 10 tons – or about 20,000 pounds. That made it about twice the size of a Narwhal and about 2/3 the weight of a sperm whale. 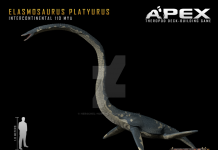 It was a truly massive pliosaur with a short neck and rows of teeth in its long jaws. Fortunately, its teeth weren’t as sharp as other marine animals. In fact, they were pretty dull. 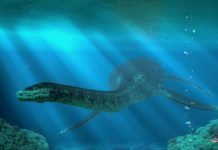 However, that still didn’t protect its prey because Kronosaurus most likely shook their prey to death and then crushed their skulls with its powerful jaws. 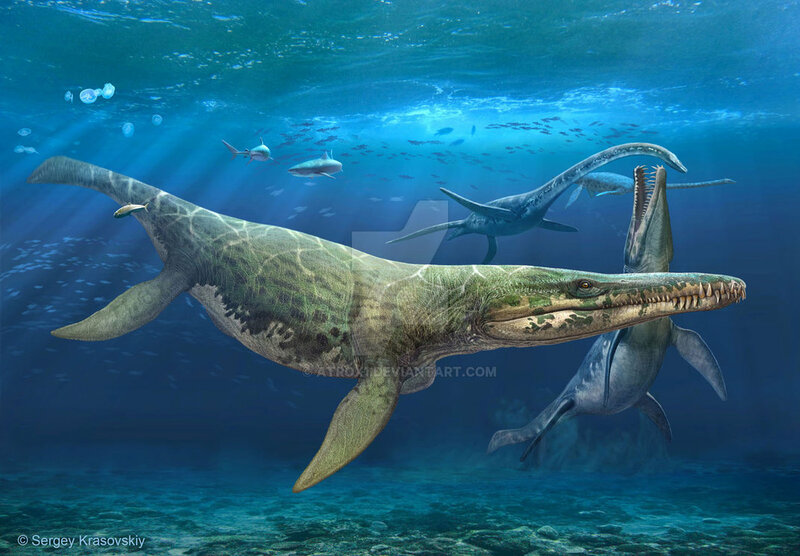 Currently, Kronosaurus is the biggest pliosaur to have ever lived. However, that may soon change because it appears that a new specimen was discovered in Norway. 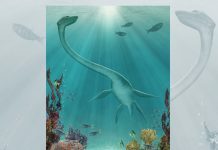 If this specimen does indeed prove to be a pliosaur, and its measurements are correct, then it would surpass Kronosaurus as the biggest pliosaur, surpassing it by about 17 feet!